You're going with "mystery box," right? Good call. So, if Obama does not act on his own, then the House will act? Well, no. Boehner won’t promise that, either. 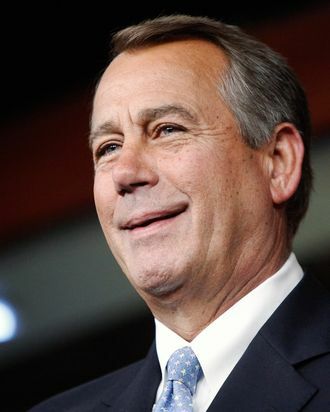 Basically, Boehner’s offer is that Obama can act on his own, or open the mystery box. Such a tempting negotiating gambit.